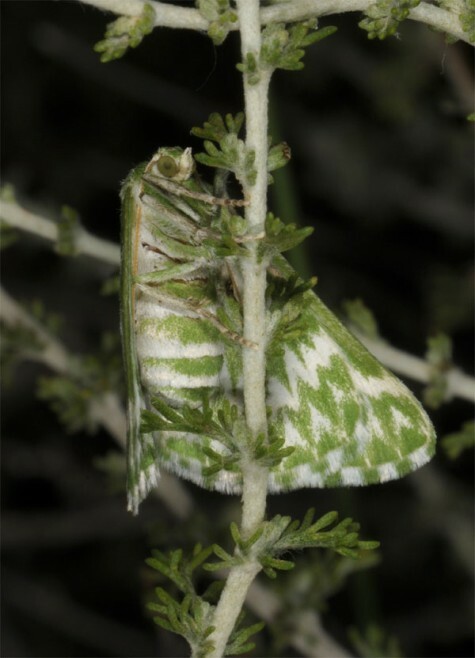 The larvae especially feed on Santolina chamaecyparissus, but are also said to live on Artemisia sp. 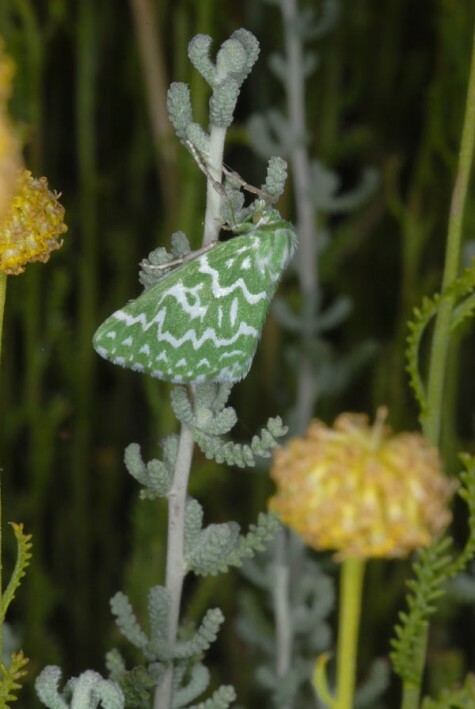 I recorded moths in steppes with Artemisia herba-alba, but without Santolina near Zaragoza. 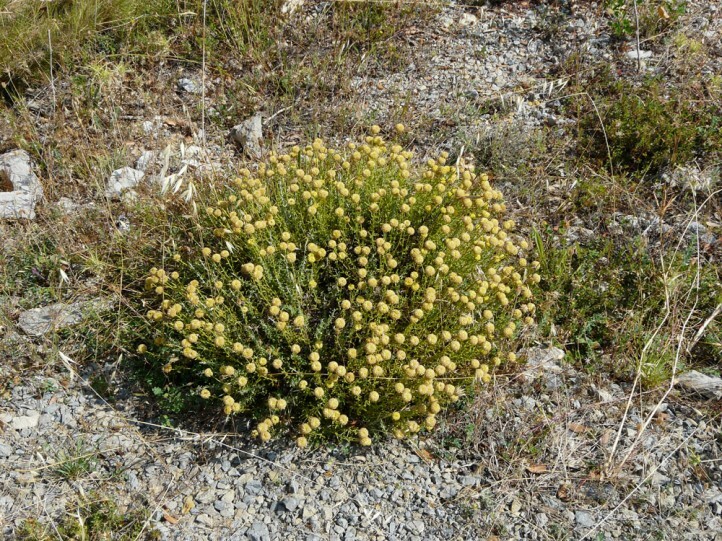 Thetidia plusiaria inhabits open, dry and warm places such as extensively grazed mountain slopes. 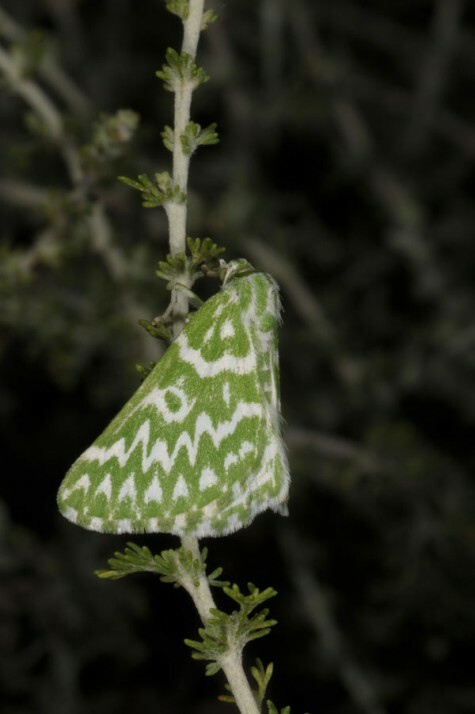 The moths occur according to literature mostly in two generations in june and July and again in September. 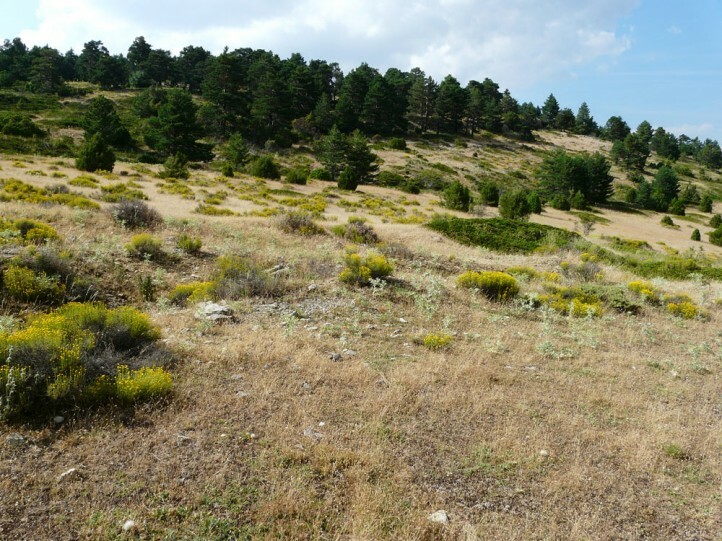 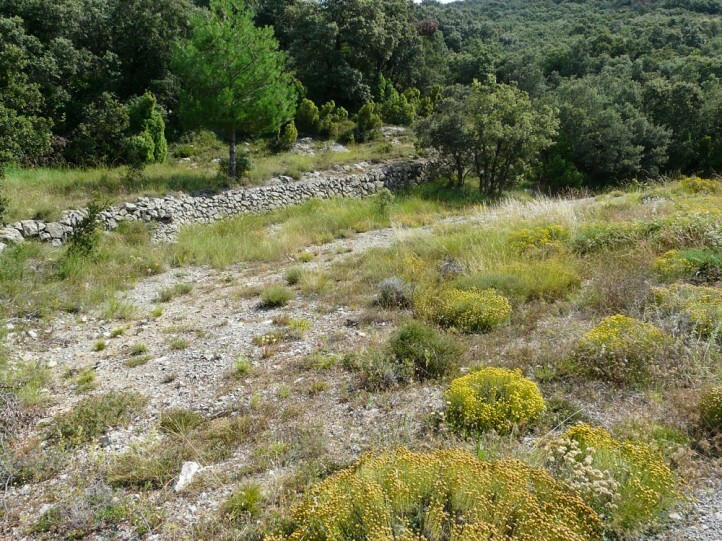 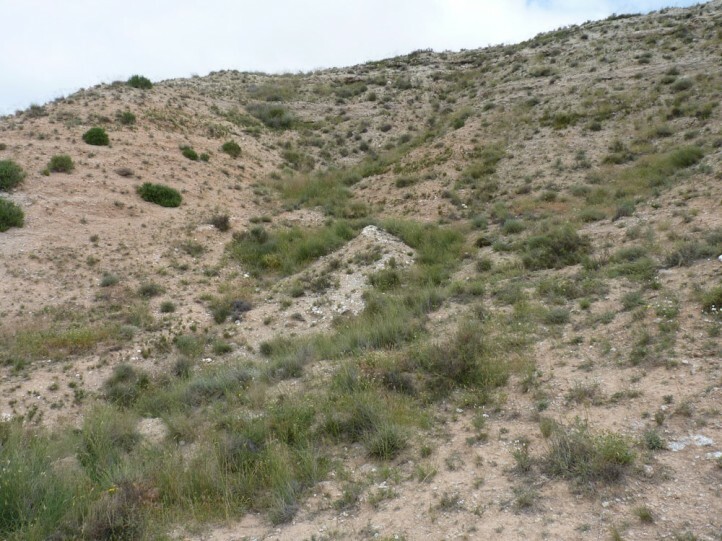 I observed many fresh specimens in eastern Spain (Teruel and Castellòn) in 1000 and 1700m asl in late July 2013 and think that there might be only one major generation in these habitats. 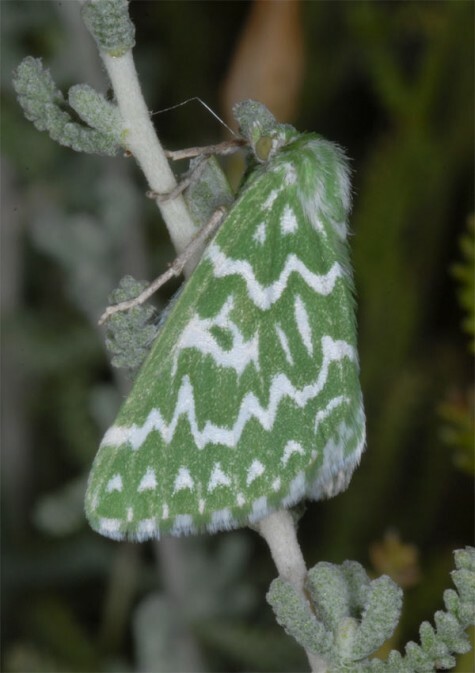 I recorded moths near Zaragoza (300m) already in late May 2018. 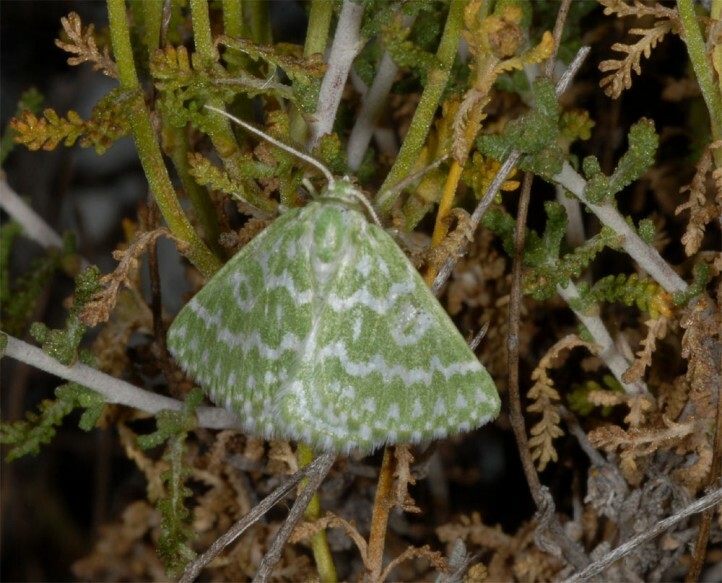 The adults most often rest within the shrubs of their host plant. 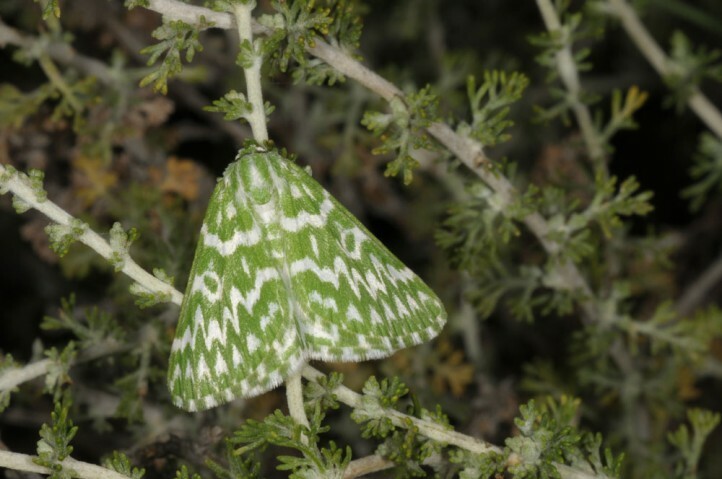 Thetidia plusiaria occurs in NW-Africa and Spain, locally also in the French east Pyrenees.